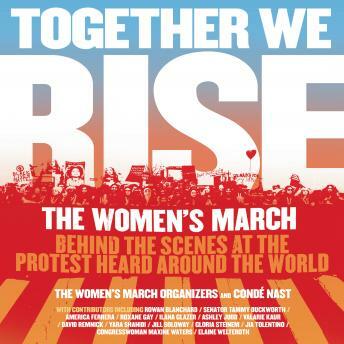 Listen to "Together We Rise: Behind the Scenes at the Protest Heard Around the World" on your iOS and Android device. Together We Rise interweaves their stories with 'Voices from the March'—recollections from real women who were there, across the world, and voiced by January LaVoy—and 22 short, thought-provoking essays by esteemed writers, celebrities and artists including those both written and read by Ashley Judd, Jia Tolentino, Cindi Leive, Kateri Akiwenzie-Damm, Sister Aisha Al-Adawiya, Melanie Campbell, Judith LeBlanc, and Ai-Jen Poo. It also features the talented voices of Robin Miles as the narrator, Thérèse Plummer, and James Fouhey. An inspirational call to action that reminds us that together, ordinary people can make a difference, Together We Rise is an unprecedented look at a day that made history—and the beginning of a resistance movement to reclaim our future.